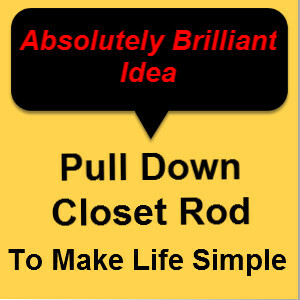 What a brilliant concept, a pull down closet rod to make it easy to use that higher space in your wardrobe. 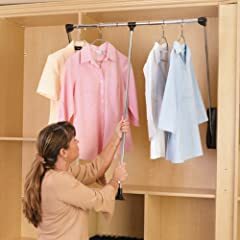 If, like me, you’re a bit on the height challenged side these rods make it easy to hang clothes up high. 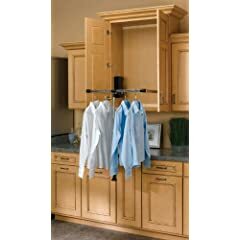 I imagine they would be good for anyone with shoulder problems by making it easy to hang clothes without the need to reach up. 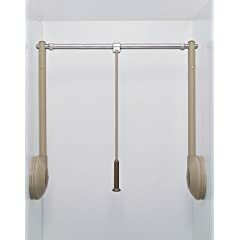 Here’s some I found ranging in size to fit widths from 18″ to 48″. 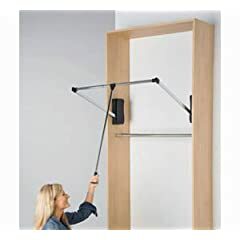 Rev-A-Shelf RCPDR-3548 Pull-Down Closet Rod – 35- 48 in.